Sales are down 9 pct this year at Trinity Mirror, whose acquisition of Express newspapers is under the regulatory microscope. Buying rivals and slashing costs seems the only viable option for the Daily Mirror parent. Blocking the deal would leave the media sector on the sickbed. Trinity Mirror on May 3 said its revenue fell 9 percent in the first four months of 2018, excluding the effects of business acquisitions and disposals. 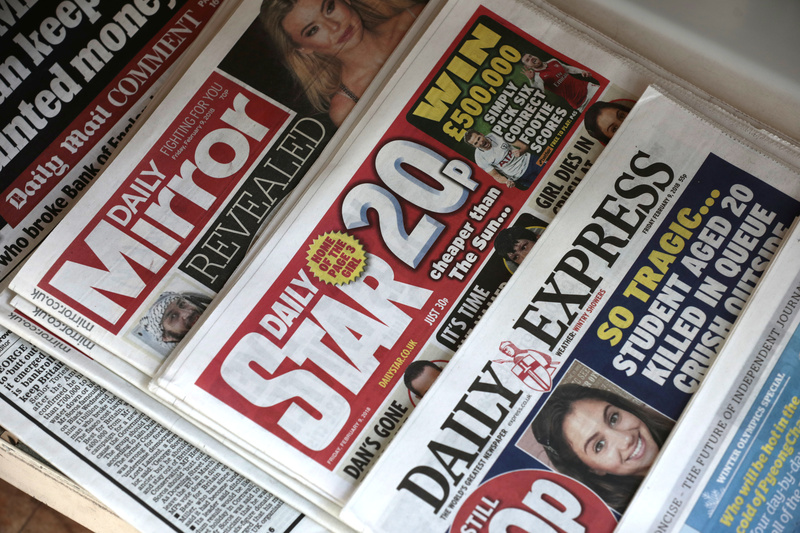 Sales at the Express and Star titles – which Trinity Mirror in February agreed to buy from Richard Desmond’s Northern & Shell group for 127 million pounds – are estimated to have fallen by 5 percent over the same period. UK Media Secretary Matt Hancock on May 1 ordered regulators to investigate the Daily Mirror publisher's deal to buy the Express tabloids because of the potential impact on the titles' editorial policies and the need for a range of views in newspapers. Trinity Mirror’s shares were down 1.7 percent at 85 pence by 0827 GMT on May 3.